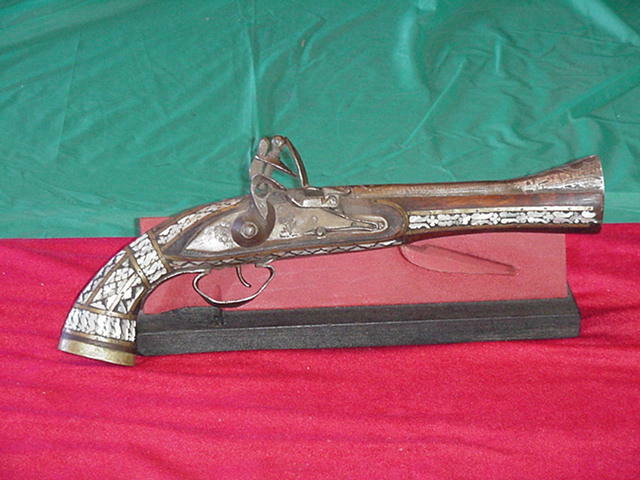 Blunderbuss Pistols. 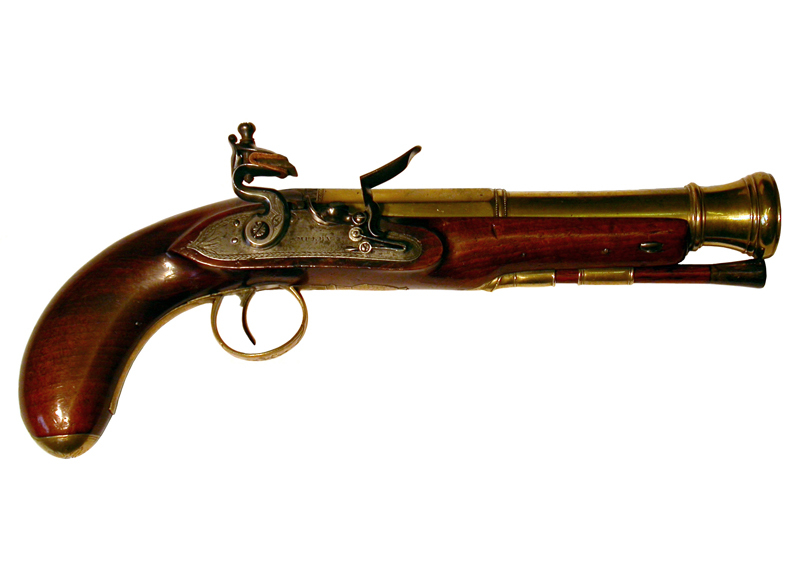 Where as other pistols fire a ball and perhaps a few bits of shot, a Blunderbuss Pistol, like its larger cousin, can be loaded with multiple balls, shot, bits of scrap etc. When fired the load sprays outwards in a shotgun like effect. Very effective in close quarters, ranges are shorter then a regular pistol and accuracy, especially over any distance, is very poor. 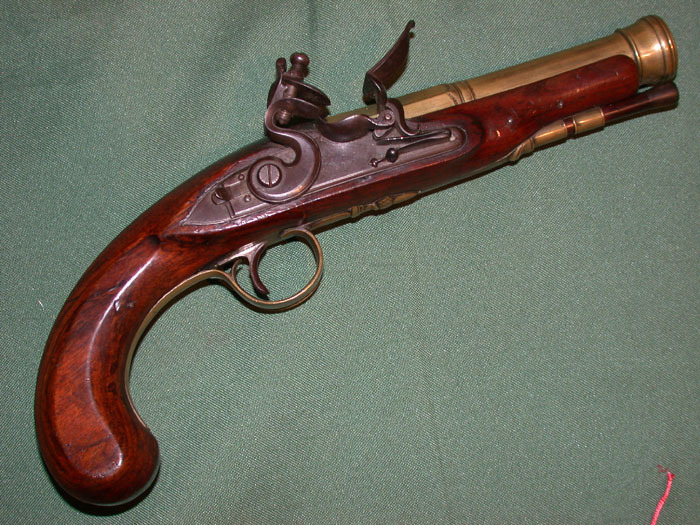 These pistols are made in either Snap Lock, Dog Lock or Flintlock styles.